Hashtag #GrowWithEaskme has been introduced by eAskme.com and Gaurav Kumar, founder of eAskme. #GrowWithEaskme is for those who believe that they have the right to live a better life. This is an effort from eAskme.com team to help people worldwide. People in this world are facing so many problems that they can't concentrate to live life happily. Most of the world is spending 80% of his life in solving the issues rather than living a better life. Sometimes people like you and me are not even able to solve some issues even when the solution is right in front of our eyes. #GrowWithEaskme is an effort for all those who are looking for online or offline solutions. No matter you have problem in official or personal life, eAskme.com is here to help you live happily. Let's take a look about what is #GrowWithEaskme and how you can use this hashtag to live a better life. #GrowWithEaskme is a hashtag that you can use on any social network such as Facebook, Twitter, Google Plus, Linkedin, Pinterest, YouTube etc. to ask the question or find the solution of your problem. 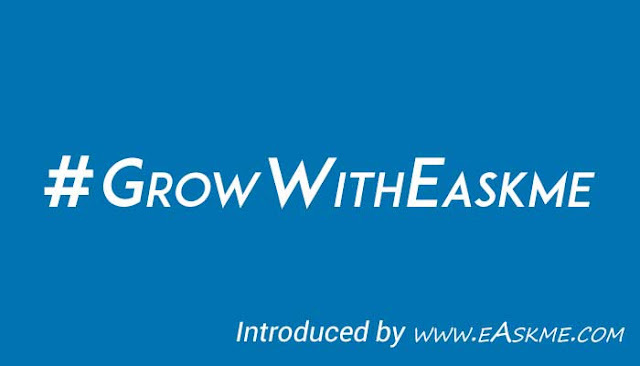 According to eAskme team,"#GrowWithEaskme is for those who believe in that they have the right to live a better life." As I have already said, eAskme team has introduced this hashtag to help people. No matter what question you have, you can ask the question to eAskme team by including hastag with your question. #GrowWithEaskme is also best hashtag to find the solution of already discussed problems. It is super easy to use #GrowWithEaskme. On any social network you can ask question using this hashtag. For example,"if you want to know how to be successful, then you can ask this using hastag and your question will look like, #GrowWitheAskme How to be Successful?" 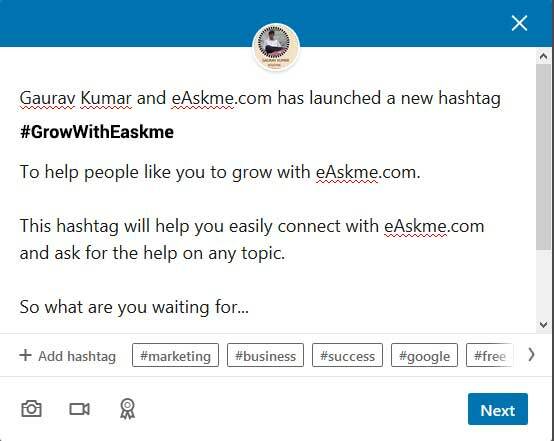 By adding #GrowWithEaskme hashtag you are letting eAskme team know about your question and you will get the direct or expert solution of your problem. The best thing is that you can use this hashtag on any popular social network such as Facebook, Twitter, Google Plus, Linkedin, Pinterest, YouTube etc. You can also visit eAskme.com and ask the question using "Ask Your Question form." What type of questions you can ask using #GrowWithEaskme hashtag? There is no limit on how many questions you can ask or type. You can ask any question using #GrowWithEaskme hashtag. #GrowWithEaskme makes it easy for people to release their stress, start discussions, take part in discussions and get solutions. It is also the best way to communicate with the experts and consultants worldwide. People can easily find solutions related to stress, health, motivation, business, work from home, money making opportunities, entertainment, vehicles, gadgets, technologies etc. EAskme.com is the place where you can find a lot of information, related to Blogging, SEO, internet marketing, Writing tips, online tools, project management, traffic, conversion, revenue etc. How to Live a Better Life Using Hashtag Grow With eAskme? 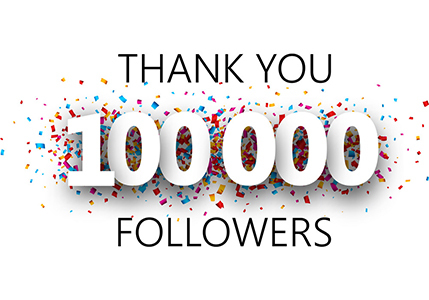 With #GrowWithEaskme hashtag eAskme.com has opened the doors of expert solution for the whole world. No matter in which country you life, what language you speak, what problem you are facing, eAskme.com is here to help you. "As a child the most common problem is education, as a young or adult business, money, finance, relationships are the most common problems and as an old person health and relationships are the common problems." eAskme.com is there to help you when you need it. #GrowWithEaskme is a way to show the solution or the door from where you can start your journey to live a better life. You will also find solution on eAskme.com by using the search option. The most Popular Solutions that eAskme has provided till now? eAskme is one of the most trust-able site offering solutions not only to the industry leaders but also to the common people. #GrowWithEaskme is live to help you live a better life. Now it is your turn to ask question or find solution using #GrowWithEaskme.